Who is the 2018 Criminal Justice Giving Project? Members of the 2018 Criminal Justice Giving Project in Seattle. 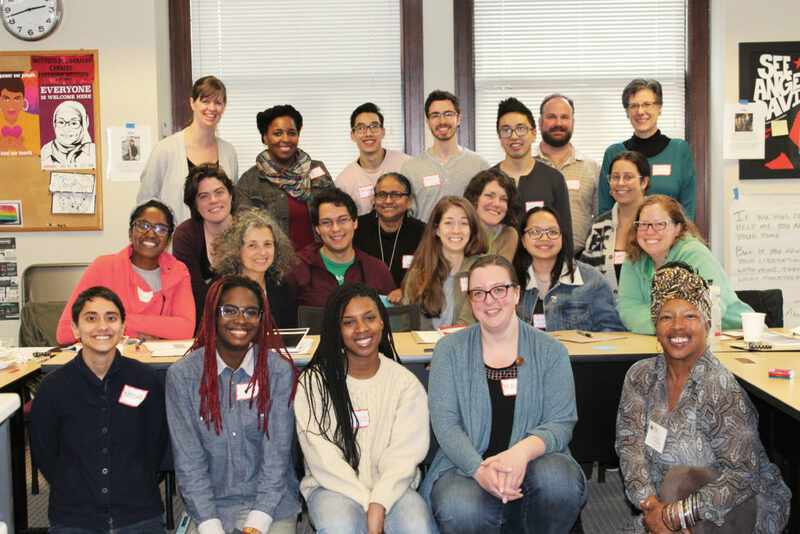 The 2018 Criminal Justice Giving Project is an eclectic crew of students, teachers, researchers, Bruce Lee fans, policy analysts, attorneys, immigrants, parents, and traditional philanthropists who come from the fields of education, advertising, biomedicine, law, social and political organizing and more. We are impacted by an unjust criminal justice system and motivated to fund change movements. Our backgrounds unite to move money to organizations that respond to our current inequitable Criminal Justice system in the Northwest. Developing a collective understanding of how race and class interact with the criminal justice system to produce disproportionate and unjust outcomes. Investing in the lives of impacted communities by making a meaningful, personal donation to the criminal justice giving project. Building a network of social-justice oriented community members who are dedicated to advancing social equity. We recognize that we must work together, as a collective, to truly accomplish any of our goals. We would like to invite you to critically partake in this work! This grant will support community organizing work that addresses the intersections of race, class, gender, and other systems of oppression in the systems that criminalize low-income communities and communities of color. Examples of this work could include organizing that addresses racial profiling and police brutality, homeless encampment sweeps and criminalization of survival needs, immigration detention and deportation, the school-to-prison-pipeline, youth incarceration, etc. We invite proposals from organizations that are led and directed by those most impacted by the criminal justice system, and who are working for systemic change. These are two-year, general operating grants. To find out more about the types of work our grants will support, please see this list of previous Social Justice Fund grantees working for criminal justice. Donate to our giving project to help fund crucial criminal justice work in our region. Donate at this LINK and put “Criminal Justice Giving Project” in the comments box. You can also contact Project Manager, Karen Toering: karen@socialjusticefund.org. Contributions to Social Justice Fund’s Criminal Justice Giving Project are tax deductible. We accept donations by credit/debit card, electronic funds transfer, cash, check, stock, donor advised funds, and planned giving. Please go here for more information on how to give.